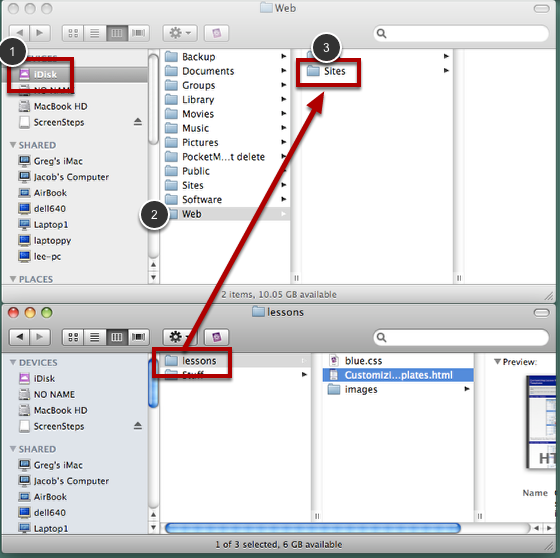 This lesson will teach you how to upload lessons created in ScreenSteps to your .Mac site. 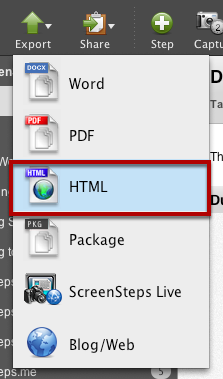 Open your lesson in ScreenSteps and select Export > HTML. I create a new folder called "lessons" on my local drive as well, either on my desktop or in my Documents folder. Select the folder that you created and select Save. Select Finder, and then Go > iDisk > My iDisk. 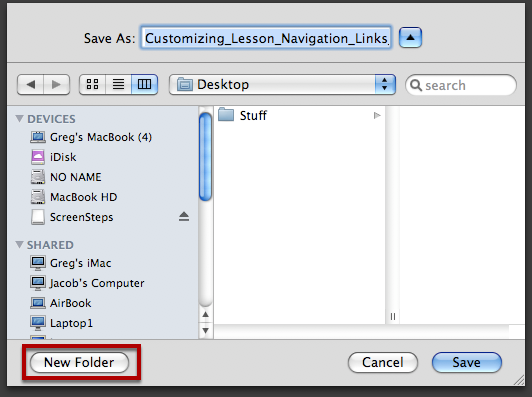 Drag the lessons folder that contains the lesson you exported to the Web/Sites folder on your iDisk. 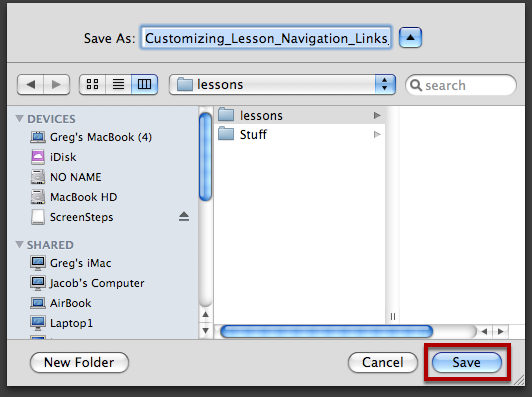 Make sure you drag the lessons folder and not just its contents. You can now enter the url for your lesson in your browser. It will be http://web.me.com/YOUR_USER_NAME/lessons/THE_TITLE OF_THE HTML_FILE_YOU_EXPORTED_FROM_SCREENSTEPS. For example it might be "http://web.me.com/greg/lessons/Customizing_Lesson_Navigation_Links_In_Topic_Templates.html".